We told you early this morning about The Financial Times’ star Chrystia Freeland leaving her US managing editor post for a job at Reuters. 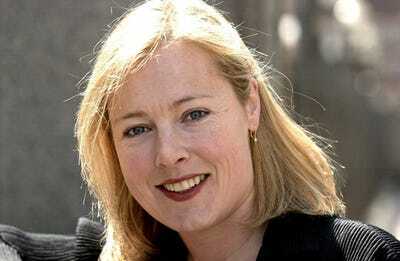 The FT is naming Gillian Tett, an assistant editor in charge of markets coverage, as her replacement. Tett, who has worked for the FT since 1993, is now US managing editor and will oversee the American print and online editions. She currently works out of their London office, and will be hopscotching across the Atlantic for the next several months. She moves to New York fulltime in September 2010. According to her bio, Tett been the FT’s capital markets editor, deputy editor of the Lex column, Tokyo bureau chief, Tokyo correspondent, London-based economics reporter and a reporter in Russia and Brussels. She has a PhD in social anthropology from Cambridge University.